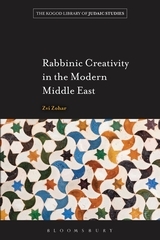 Rabbinic Creativity in the Modern Middle East provides a window for readers of English around the world into hitherto almost inaccessible halakhic and ideational writings expressing major aspects of the cultural intellectual creativity of Sephardic-Oriental rabbis in modern times. The text has three sections: Iraq, Syria, and Egypt, and each section discusses a range of original sources that reflect and represent the creativity of major rabbinic figures in these countries. The contents of the writings of these Sephardic rabbis challenge many commonly held views regarding Judaism’s responses to modern challenges. By bringing an additional, non-Western voice into the intellectual arena, this book enriches the field of contemporary discussions regarding the present and future of Judaism. In addition, it focuses attention on the fact that not only was Judaism a Middle Eastern phenomenon for most of its existence but that also in recent centuries important and interesting aspects of Judaism developed in the Middle East. Both Jews and non-Jews will be enriched and challenged by this non-Eurocentric view of modern Judaic creativity. 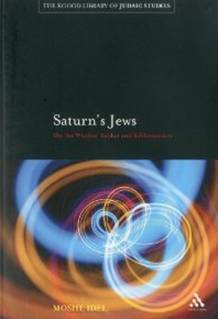 This book explores the phenomenon of Saturnism, namely the belief that the planet Saturn, the seventh known planet in ancient astrology, was appointed upon the Jews, who celebrated the Sabbath, the seventh day of the Jewish week. The influences of this notoriously taciturn planet affected all aspects of Jewish life. With scholarship and a brilliant deftness, Moshe Idel guides the reader through dazzling constellations ranging from Antiquity to the modern period, showing the fertile and sometimes dangerous encounter among medieval Kabbalism, astro-magic, Muslim astrology, and European learning. He interweaves the luminaries in these fields - Ibn Ezra, Abulafia, Joseph Ashkenazi, Al-Ashqar - with the cultural, historical, religious, and philosophical concepts of their day, and explains how these cultural agents were inadvertently instrumental in the mid-17th century mass movement that led to the conviction that Sabbatai Tzevi was the Messiah. Idel’s fresh approach explores how the tragic misperception of the Jewish Sabbath by the non-Jewish world led to a linkage of Jews with the sorcery in 14th-and 15th-century Europe, associating their holy day with the witches’ "Sabbat" gathering. The book brings this wide-ranging study into the present day, with an analysis of aspects of 20th-century scholarship and thought influenced by Saturnism, particularly lingering themes related to melancholy in the works of Gershom Scholem and Walter Benjamin. Yair Lorberbaum, senior research fellow at the Shalom Hartman Institute, provides a thorough study of the concept of kingship and the powers of the king in Talmudic and biblical sources, against the backdrop of prevalent views in the Roman world. A professor at the Bar-Ilan University Faculty of Law, Yair Lorberbaum has also taught at Princeton, Yale, and the University of Pennsylvania. His previous book, Image of God: Halakhah and Aggadah, won the Goldstein-Goren Book Award. Now in English. About 200 years after R. Nachman of Bratslav’s demise, his philosophical writings and literary creation remain lively and provocative materials in both Jewish culture and the New Age movement. Something of R. Nachman’s magic and magnetic force are illuminated in this research, which presents the Bratslavian mysticism as a unique link in the history of Jewish mysticism. The mystical worldview is the axis of this book, but its branches stretch out to key issues in the Bratslavian world such as belief and imagination, dreams and the land of Israel, melodies and song. See above to order the original Hebrew edition of this classic volume. Of all Judaic rituals, that of giyyur (conversion) is arguably the most radical: it irrevocably turns a Gentile into a Jew. The very possibility of such a transformation is anomalous, according to Jewish tradition, which regards Jewishness as an ascriptive status entered through birth to a Jewish mother. This book provides a close reading of primary halakhic texts as a key to the explication of meaning within the Judaic tradition. Winner of a 2007 National Jewish Book Award. This book constitutes the first attempt to address the category of Sonship in Jewish mystical literature as a whole – a category more vast than ever imagined. By this survey, not only can the mystical forms of Sonship in Judaism be understood better, but the concept of Sonship in religion in general can also be enriched. In this groundbreaking study, Avi Sagi outlines a broad spectrum of answers to important questions presented in Jewish literature, covering theological issues bearing on the meaning of the Torah and of revelation, as well as hermeneutical questions regarding understanding of the halakhic text.